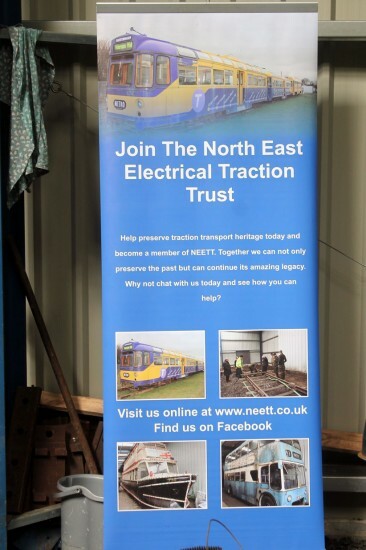 As we’ve reported previously whilst there is a more high profile collection in the north east of England the area is also home to the North East Electrical Traction Trust who are based at the North East Land Sea and Air Museum. 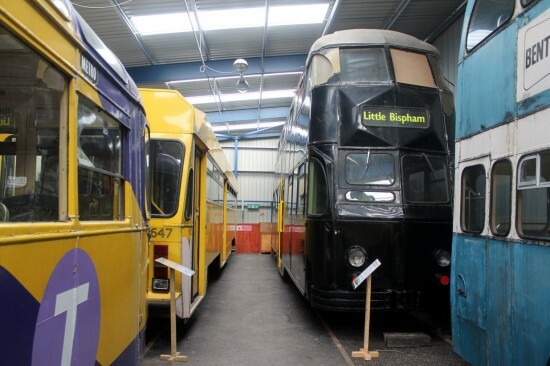 With a mainly Blackpool based collection of trams all the vehicles are stored inside the tram shed – which they share with a number of buses – although limited progress seems to have been made towards the restoration of the trams in recent times. Trevor Hall made a visit to NELSAM on 30th March with the following photos taken. Twin Car 674+684 on display with a Blackpool Transport Olympian for company. 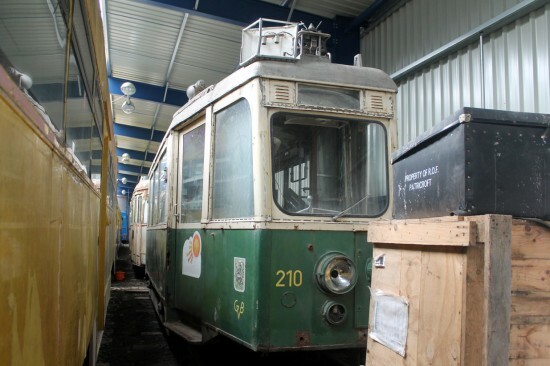 At the back of the shed and two more Blackpool trams are seen: Centenary 647 and Balloon 721. Both these trams were part of projects to repaint them from the remnants of their advertising liveries but neither seem to have progressed in recent times. 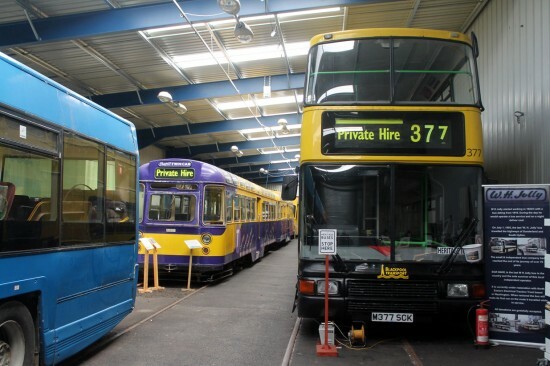 One of the two trams in the collection not from Blackpool is Graz 210 which is seen here alongside Centenary 647. This entry was posted in North Eastern Electrical Transport Trust. Bookmark the permalink.